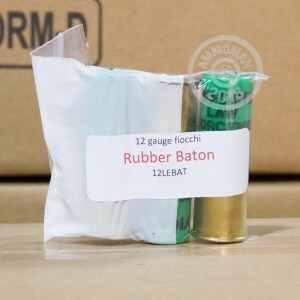 These less lethal 12 gauge shells from Fiocchi are designed for law enforcement purposes such as riot control, but can provide any shotgun user with the ability to fend off assailants or nuisance animals in situations where deadlier ammunition is not a suitable option. Each box contains 25 shells. This ammo can cause serious injury or death under certain circumstances. Using this ammunition in close proximity to your target is one of those many instances. 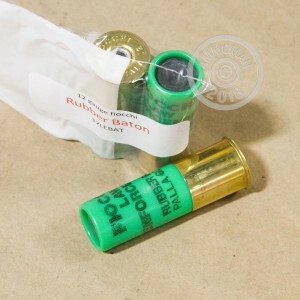 Be sure to handle a gun loaded with this less-than-lethal ammo the same way you would any other. Shop at AmmoMan.com for all your shooting needs--place an order for over $99 today and get free shipping!